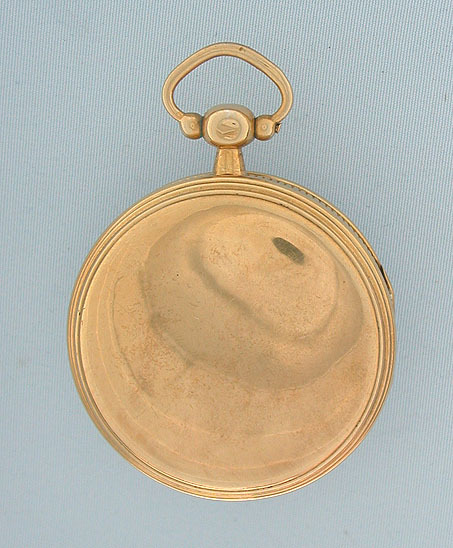 Fine and scarce Swiss unusually small fusee Pouziat lever chain annd fusee half-seconds beating silver gilt antique pocket watch by Freres Auziere, Geneva, circa 1790. 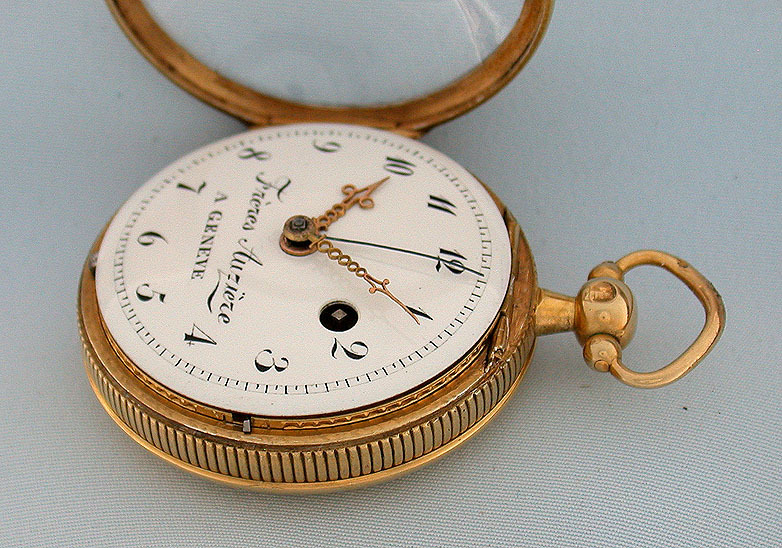 White enamel dial with bold signature, fancy gold hands, and sweep center seconds. Stop lever extending from the edge of the dial at 3:00. Giant slow beat balance almost the full diameter of the movement. Plain polish case with coin milled band. This is the smallest Pouzziat we have ever seen. 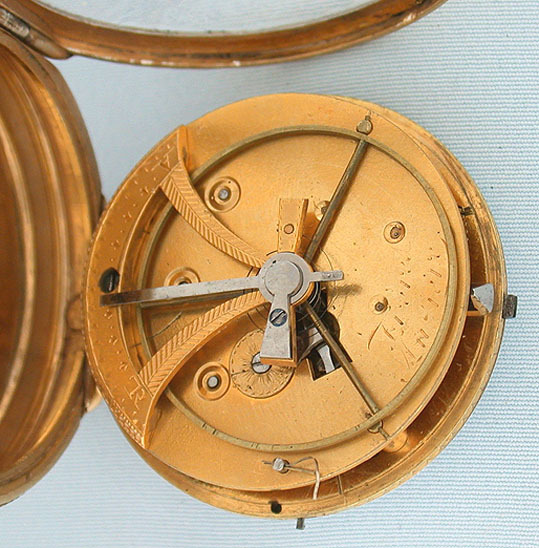 It is very unusual since it beats half-seconds and is one of only a very few signed Pouxait escapement watches. Jean Moise Pouziat (1743 - 1793) was born in Geneva. 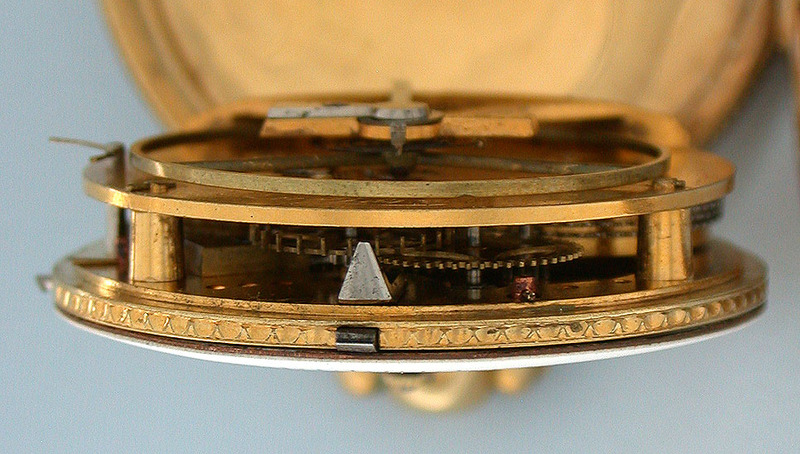 He was the head of the first school of Horology in Geneva and invented this fascinating escapement in 1786. 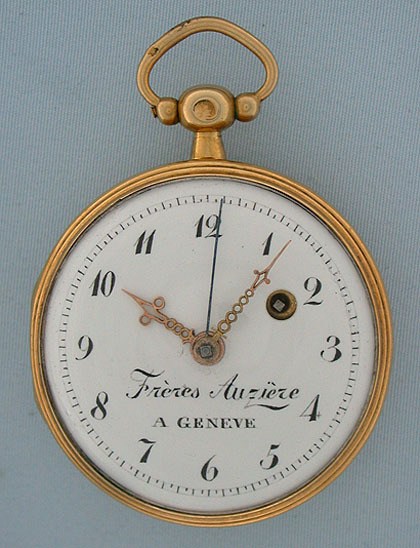 Georges Auziere was a very famous watchmaker, a force behind the Besancon factory which was established in 1793, and a key member of Voltare's circle. He worked in both Geneva and in France.